This stunning & well-maintained Custom Built Craftsman Home, built by R.A. Snozik, has 3 BR, 2.5 BA, a 2 car Int. Garage & is move-in ready & waiting for you to call it home. From the covered front porch you step into the large Great Room w/gleaming hardwood floors & lots of windows (complete w/Plantation Shutters) that flood the room w/bright natural light. 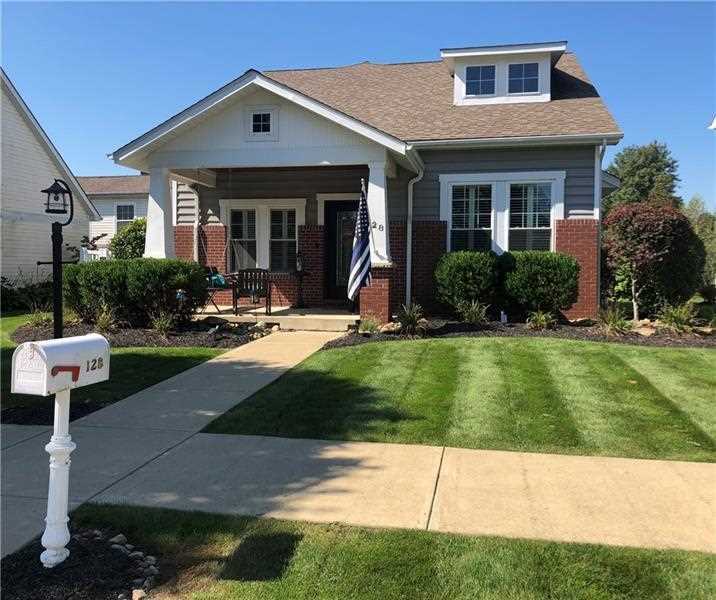 The open floor plan pulls you right into the beautiful kitchen w/updated granite counter tops, stone backsplash, newer dishwasher & gas stove top. It also has a walk-in pantry! You'll love having the Laundry right off of the Kitchen. The newer Custom Built 4 Seasons Room is a perfect overflow room for family get togethers. You'll not want to miss the 1st Floor Master Suite complete w/walk-in closet, dressing area & private bath w/double bowl sink, soaking jetted tub & separate shower. Take advantage of the community in-ground pool (2nd one coming soon)! This meticulously maintained home has too many updates to list. Directions: Route 28 North to Exit 17. Route 356/South Pike to Right onto Sarver Road to Right into Sarvers Mill. House on Right. Listing provided courtesy of Howard Hanna Allegheny Valley Office. I was searching for a Property and found this listing (MLS #1362259). I would like to schedule a showing for 128 Sarvers Mill Dr Sarver, PA 16055. Thank you! I was searching for a Property and found this listing (MLS #1362259). Please send me more information regarding 128 Sarvers Mill Dr Sarver, PA 16055. Thank you! MLS # 1362259: This property at 128 Sarvers Mill Dr, Sarver, PA 16055 is located in the subdivision and is listed for $334,900. MLS # 1362259 has been on the market for 205 days.